Microsoft did a few things right today: not only did it give gamers what they wanted (games), it also announced pricing and a more specific availability for its next-gen console, the Xbox One, than "holiday 2013." And though you won't be able to play the game machine until November, it is up for pre-order via several channels right now. Joystiq gathered some intel on where gamers can go to order the $499 (UK£429, AU$599) Xbox One at this moment, including Amazon, GameStop, Best Buy, ShopTo and GAME. Those who signed up to receive an alert when pre-ordering was to start through the Microsoft Store should have noticed a note land in their inboxes indicating that the time has indeed arrived. Folks can also turn to physical Microsoft Stores to place their pre-orders, too. With a new console should come some snazzy new accessories, so Microsoft followed its E3 press conference by announcing some new peripherals for the Xbox One. We've known about the redesigned wireless Gamepad, but Microsoft is also offering a new Xbox One Play and Charge Kit. Basically the kit is a lithium ion rechargable battery pack that slips inside the controller. A cable is also available for link up. According to Microsoft, the new kit charges twice as fast as the one available for the Xbox 360, plus charges while gameplay is going or the console is in standby mode. Users can get it on its own or in a wireless controller with Play and Charge Kit bundle. Until today, Turtle Beach and Polk were the only headset maker to announce any ear accessories for the Xbox One. Microsoft wasn't going to leave the two hanging, announcing that it will offer an Xbox One Chat Headset, tethered to the controller via wire, for comfortable chatting. 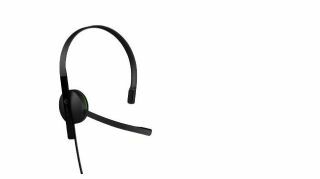 The mono chat headset comes equipped with wideband digital and a unidirecitonal mic. While the Softies offered a taste of the titles heading to the Xbox One in a green-tinted showcase, they also wanted the celebration to carry on by offering a limited-edition, Day One offering. Essentially customers can pick up the Xbox One (which includes GamePad, Kinect, and 14-day free trial of Xbox Live Gold for new members) for the same $499.99 (UK£429, AU$599) price yet with a few more add-ons. Calling dibs on a bundle guarantees gamers will receive the new system the first day it's available. To make it even more special, Microsoft is encasing the Day One edition in a premium black package, offering a limited edition Xbox One Day One controller and a Day One Achievement. There's also incentive to reserve Day One edition with launch titles like Ryse: Son of Rome, Dead Rising 3 and Forza Motorsport 5 as these will come with bonus content. You know, the Xbox 360 got some love today too. Check out what Microsoft did to the older console.